KZFV-4 system, Scalding Pass region. On the 14th of April at 18:44 EVE Standard Time, a battle unfolded in the system leading to the destruction of an entire Prothean Alliance [PROT] capital squadron and its sub capital escorts. The battle began with a Project.Mayhem. [16-13] gang roaming the region. The alliance had a mixed 25 pilot fleet of Sleipnir command ships and Orthrus cruisers. The force charted a wormhole to the region and was searching for targets when a small Prothean Alliance fleet engaged it on the KZFV-4 gate in the system. The Prothean Alliance had a mixed fleet of its own of Hurricane battlecruisers and Caracal cruisers. The two sides met on the gate and exchanged fire briefly before Prothean Alliance escalated things further. One of the ships equipped with a cynosural field generator activated its module, lighting the beacon. Into the field jumped 14 assorted capital ships belonging to the alliance. With the capitals joining the fight, Project.Mayhem. found itself overwhelmed by the opposition. 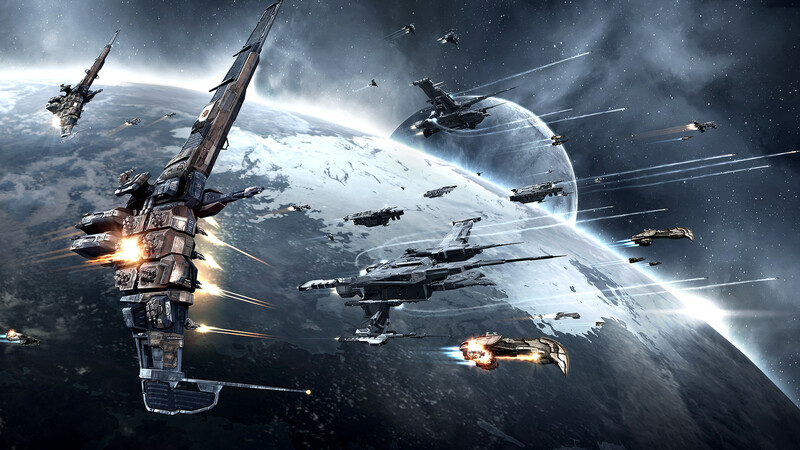 The fleet’s mainline ships quickly scattered across the system to avoid destruction while its interdictors dove in to tackle the capital ships. In the end the alliance managed to only hold three dreadnoughts which came through the cynosural beacon, the rest of the capital force managing to warp off to safety. With the dreadnoughts tackled, Project.Mayhem. started calling possible allies while rousing its own to form a reinforcement fleet. Project.Mayhem. and Snuffed Out [B B C] pilots quickly boarded Tengu strategic cruisers and rushed to the system to aid their brethren. Other groups also answered the call, bringing their own fleets as they scouted routes to the system. The two major groups proved to be Therabois, the loose coalition of corporations and alliances residing in the Thera system and the wormhole corporation of achtung partizanen [.OHAI]. Therabois brought a Cerberus heavy assault cruiser fleet while achtung partizanen fielded more Sleipnirs. The different fleets converged on the system where the original Project.Mayhem. force was fighting the Prothean Alliance sub capitals in order to maintain its hold on the dreadnoughts. With the main combat carrier force warping off, the Project.Mayhem. fleet re-grouped and warped back to the grid, aiding its interdictors which came under fire from the remaining Prothean Alliance forces. With achtung partizanen’s help, the two gangs managed to thin the ranks of the Prothean Alliance as more reinforcements rushed into the system. Seeing this, Prothean Alliance chose to bring back the rest of its capital force. The capital ships warped in to help free their brethren with the combat carriers deploying fighter squadrons to fend off the hostile sub capital force. Several allied ships were caught by the fighter swarm and were torn apart by the drones, the logistics wing of either gang proving insufficient to tank the damage. However this only served to increase the number of tackled capitals as hostile interdictors kept trickling into the system to pin down the giant ships. On the heels of the interdictors came the reinforcements fleets, the Project.Mayhem.\Snuffed Out strategic cruisers and the Therabois heavy assault cruisers. Within minutes the grid was teeming with hostiles who proceeded to clear the Prothean Alliance sub capital support before turning their attention on the capitals themselves. With enough firepower amassed, the hostile fleets started the arduous task of bringing down the capital ships. The combat carriers and dreadnoughts attempted to clear tackle in order to extract themselves but the hostile fleets shot down their fighter squadrons as fast as they could deploy them. One by one dreadnoughts, force auxiliaries and combat carriers fell. Prothean Alliance kept warping in ships in desperation to save the tackled ships but they served only as a momentary nuisance before being destroyed. The first capital ship to break was a Revelation dreadnought. It was soon joined by combat carriers and force auxiliaries as the aggressors continued their assault. For nearly 22 minutes the attackers chipped away at the capital ships, taking them down ever so slowly even as their own ranks swelled with fresh pilots. With the final capital ship brought down, a Minokawa force auxiliary, Project.Mayhem. and its allies held the field. Prothean Alliance forces were annihilated, only a gate strewn with wrecks marking their past presence. The hostiles took the opportunity to loot the field and salvaged what they could before dispersing back to their respective homes. With this the battle came to an end. Battle report for the KZFV-4 system can be found here. All told the battle lasted 77 minutes with Time Dilation not reported and the system estimated to have held 200 pilots at one point in the fight. Prothean Alliance suffered the majority of losses, 74 including 8 combat carriers, 3 dreadnoughts and 3 force auxiliaries for a total of 46.65 billion ISK damage. Project.Mayhem. and allies lost 25 ships all told, including 2 command ships and 4 cruisers for a total of 8.05 billion ISK damage.